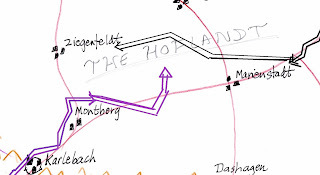 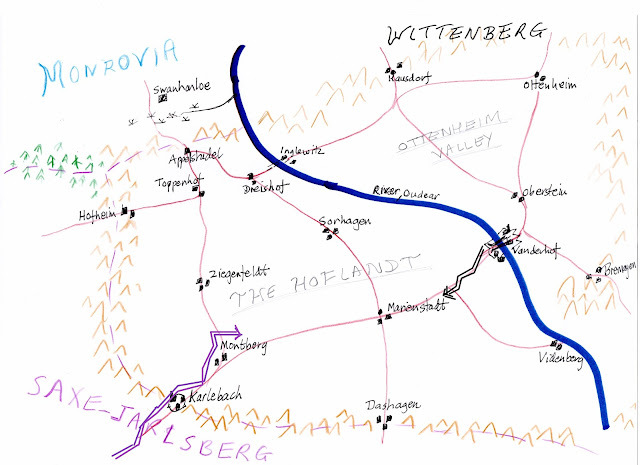 Wittenberg: General Waldebeck had marched his troops hard, left the main road and moved towards the centre of the Hoflandt aiming for Ziegenfeldt. Saxe-Jarlsberg: Count Pottsendorf had secured Montberg and ensured supplies were brought up, this caused some delay; not finding the Wittenberg troops on the road to Marienstadt he had swung the army north. 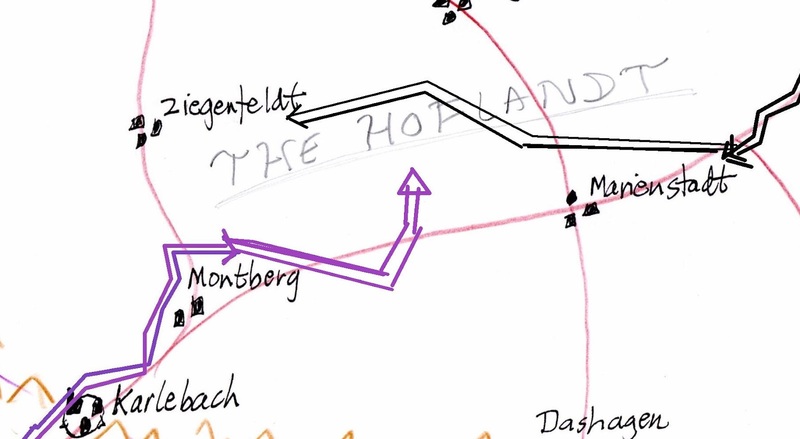 Saxe-Jarlsberg troops are to the north of Montberg ..
A map of the campaign area in the Hoflandt showing the principle towns/cities and the routes of march of the opposing forces..
As the troops spill out of Vanderhof, Colonel Waldeback and staff ride forward to organise the column of march..
the border; assemble the army - we march tommorrow morning.